The in-game Solstice Event starts June 13, 2017 and will feature XP bonuses for accurate throws, discounted Lucky Eggs, and Fire-type and Ice-type Pokémon. A new collaborative group gameplay-centric update will follow. We’re also excited to announce our first ever real-world Pokémon GO event coming your way: Pokémon GO Fest Chicago! This event will take place in downtown Chicago, Illinois, USA at the beautiful Grant Park on July 22, 2017. Join us as we celebrate the Pokémon GO community with a ton of exciting festivities. 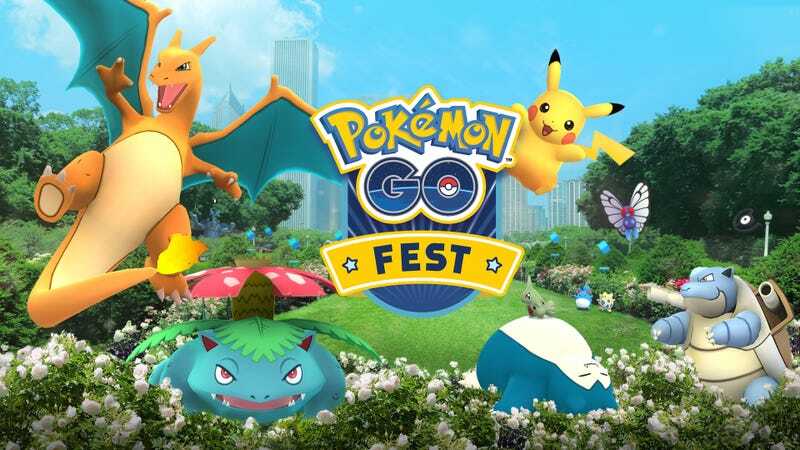 Tickets and more information for Pokémon GO Fest Chicago will be available at PokemonGoLive.com/Fest on Monday, June 19 at 10:00 A.M. PDT, so make sure to mark your calendars and follow our social media channels to be notified when tickets go live! European Trainers can look forward to Pokémon GO celebrations hosted across the continent from June through September in partnership with Unibail-Rodamco shopping centers. We’ll be posting a complete schedule for these events very soon. Also, The Pokémon Company is organizing “Pikachu Outbreak”, a Pokémon event in Yokohama, Japan, in August where they’re exploring a unique Pokémon GO experience. Stay tuned for even more details surrounding each of these events in the coming weeks.